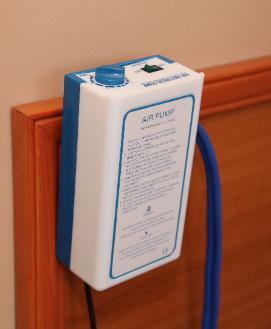 Suitable for those who are at medium to high risk of developing pressure ulcers. The air cushion Pressure Relief Mattress offers a comfortable support surface whose cells gently inflate and deflate in accordance with established alternating principles. It is an effective system for both the prevention and treatment of pressure ulcers and is easy to operate, making it suitable for both hotel, homecare & clinic environments. Single bed mattress with double padded over-cover. 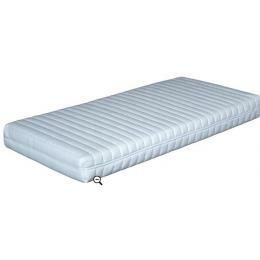 Replaces hotel foam or box spring mattress and adapts perfectly to the bodies shape for outstanding comfort and support. Exterior cover features a quality double comfort layer of ribbed cotton and polyester for soft and positive shaping. 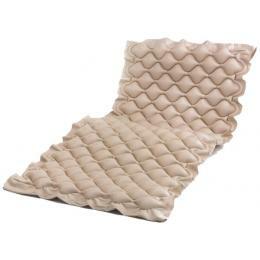 Ideal for use where comfort, support and therapeutic night rest is required.